Using computer tools and setting parameters based on old map-makers drawings and signs, the researchers were able to identify almost 9000 mound features (!) in about 2/3rd of the map sheets, an amazing number by any standard, and in one area around the present-day site of Rakigarhi their work "resulted in the identification of in excess of 200 archaeological sites with a delimited study area that were previously unknown" (p. 20). This is nothing short of a stunning achievement, and a pointer to how many clues may yet lie in the archives. The writers also use a nice, rare word in the article, "ground-truthing" to refer to actually going and checking in the real world whether something that an old map or remote sensing has indicated should be there. 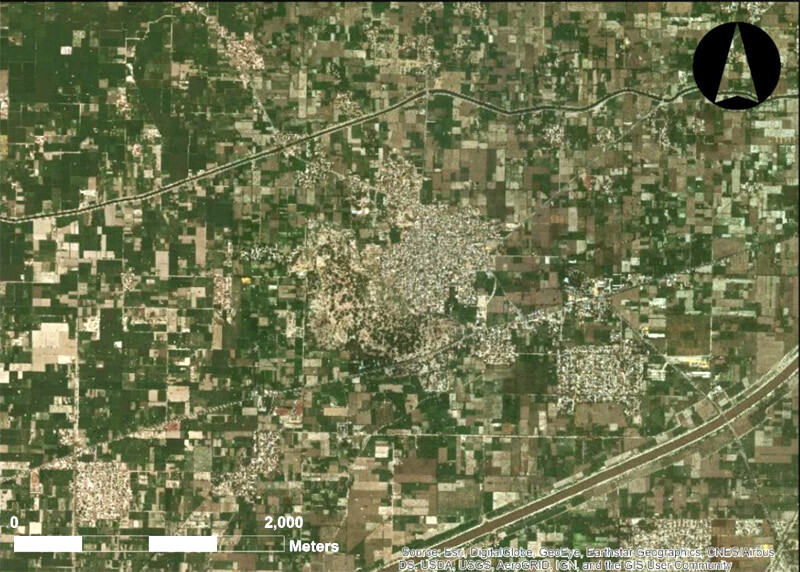 Given how quickly the landscape across India and Pakistan is and has been transformed by rapid construction, this work shows that there might still be ways to identify places where excavations might or could be done one day. 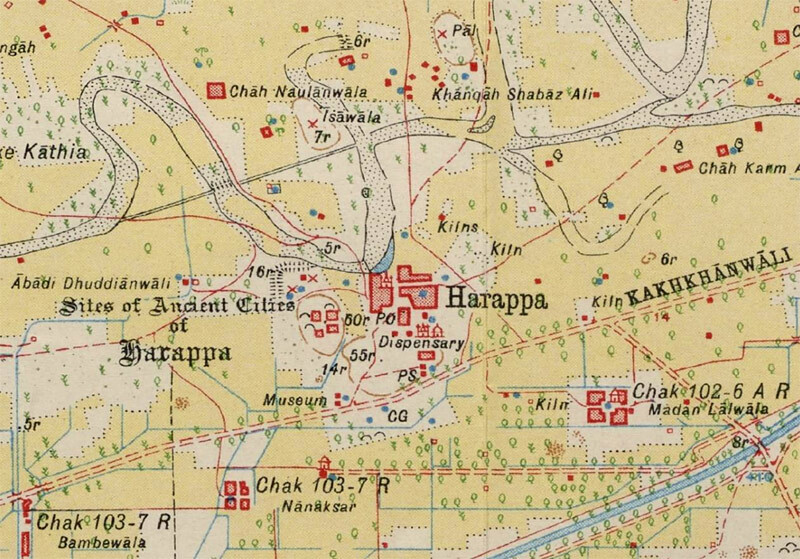 Image: (above) Detail showing documentation of the “Sites of Ancient Cities of Harappa”, including depiction of mounds delineated by ‘form-lines’, graves, and ‘x’ signifying deserted villages, and their relationship to the modern town (44/B14/1933) (Image courtesy of Cambridge University Library); (below) ESRI world imagery of the same region today.